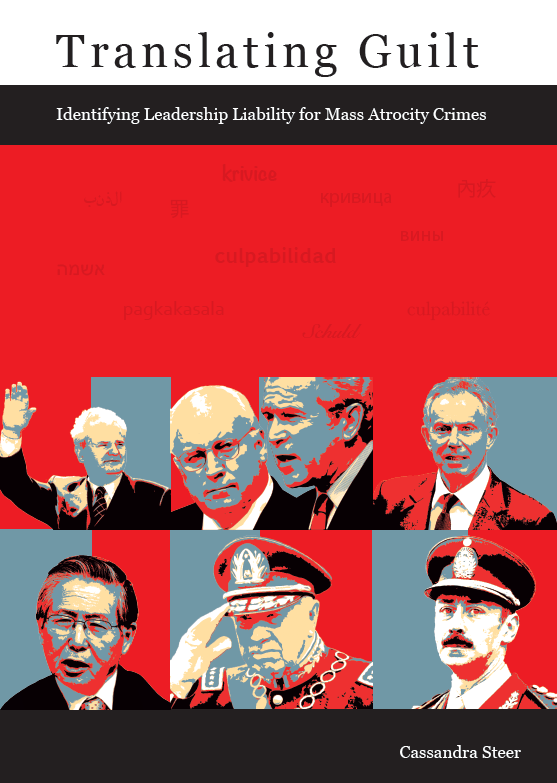 Dr Cassandra Steer – Cassandra is the author of a forthcoming book Translating Guilt: Identifying Leadership Liability for Mass Atrocity (T.M.C Asser Press, 2015). She is a Lecturer and Researcher at the Amsterdam Centre for International Law, but about to join McGill Law School. As with so much terminology in the Rome Statute, the debates on the content and meaning of Article 25 are fueled by problems of translating domestic criminal law notions to the international context. It is tempting to copy-paste the MPC approach because the wording looks similar, however the Rome Statute is a patchwork of legal traditions, and no single domestic interpretation will provide the clarity that is sought. Concepts and words in one system do not necessarily have the same connotations as they do in others. The concern that the Rome Statute departs from customary law is in my view not the central issue, since one could argue that the case law of the ad hoc tribunals does not itself amount to custom; all that has emerged is differing trends in different international and hybrid tribunals, each of which draw on various domestic criminal law models. Instead I argue a broader theory of liability should be applied to solve questions of interpretation; namely a theory that differentiates between principal and assistant liability. Aiding and abetting comes from old English common law terminology, when there used to be a legal distinction between principal in the first degree (the physical perpetrator), principal in the second degree (anyone who was physically present and aiding the crime), and an accessory who was, according to the Blackstone commentaries; “not the chief actor, nor present at its performance, but is some way concerned therein, either before or after the fact”. The distinction was made because the death penalty applied to every felony for principals, but not for accessories. However over time this legal distinction was eradicated in the common law tradition. Although the terms “principal” and “accessory” remain, every actor is considered equally liable for the full commission of the crime, regardless of his or her actual contribution. This amounts to a functionally unitary system. In the US, the MPC attempted to make a clear distinction between the fault elements ranging from intent, purpose, knowledge to recklessness, as applicable to different crimes, however it is unclear whether there should be differing requirements for different participants in a crime, given that there is no legal distinction between them. James Stewart’s argument for a dynamic system of volitional requirements would make sense in this context; whatever is required for the crime should apply to all participants. “purpose to facilitate the crime”. Most federal and state courts follow this standard, however as the other two excellent blogs in this discussion point out, interpretation of the standard can sometimes differ. There must be a double intent; an intent to assist the physical perpetrator, as well as knowledge of at least the type of crime that is to be committed, though not necessarily the exact crime. The purpose requirement for the aider is interpreted with flexibility in the case law, since it “would be fulfilled if he had either intent or knowledge of both the crime, and of the intent of the perpetrators to commit the crime.” (R v Briscoe (2010) 1 SCR 411 (Supreme Court of Canada) para 16.) At the same time, willful blindness would also suffice in the place of actual knowledge. Since abetting is generally understood to entail encouraging, instigating or promoting, it implies some intention to see the crime committed, and is interpreted more strictly. It is difficult to compare the civil law tradition to these definitions, since the English language terms “aiding and abetting” can only be translated by approximation, and there are many different forms of assistant participation. While many jurisdictions that follow the civil law tradition have modes of liability that amount to instigation, soliciting or assisting, the definitions and mental fault elements differ. Suffice to say there is a double intent requirement in Argentina, Belgium, Germany, and the Netherlands, such that an actor must both intend her own participation and also intend the commission of the predicate crime (or a lesser crime. She is only liable for a further crime if it was foreseeable in the course of the crime she intended to participate in.) Whether this intent is the same as or stricter than “purpose” is uncertain for reasons of translation, but it would appear in case law trends that something similar to “knowledge” would usually suffice. James Stewart has pointed out that in many of these jurisdictions dolus eventualis suffices whenever intent is required. Many common law lawyers are uncomfortable with this notion, but the best way to understand this is a lower limit of intent, the same as willful blindness. There must be evidence of the actor’s acceptance of the risk of a criminal outcome; this is what separates it from recklessness. Where the MPC has attempted to make clear distinctions between intent, purpose and knowledge, in most civil law jurisdictions there is only a clear distinction between intent and recklessness; the difference is that under intent there are many judicial interpretations which offer a sliding scale, the lower limit of which is dolus eventualis. Thus a term such as “purpose” may fit into this sliding scale without having a specific statutory definition. It would be something more than dolus eventualis and something less than pure intent, but as long as there is something willful (and therefore blameworthy) about the assistant’s actions, it would fit the generic test. The point of the double intent requirement in these jurisdictions is the same as the reasoning that emerges in Canadian jurisprudence, namely that when extending liability to those who have not physically committed the crime, it is necessary to compensate the lesser physical contribution with a greater requirement of mental fault. However this has an even more important role in these systems where a normative legal differentiation exists between principals and assistants. A principal is considered to be more morally blameworthy, and therefore receives a greater punishment and the full weight of the conviction for having committed the crime. An assistant (including but not limited to aiders and abettors) has contributed less and is therefore less morally blameworthy, and receives a lesser legal qualification and usually a lesser punishment. This distinction is embedded in the notion of moral agency; there is a difference between what I should do ‘simpliciter’, or the morality of principalship, and what I should do by way of contribution to what you do, or the morality of complicity. The latter is still wrong if you commit a crime, but it is a secondary wrong. For this reason a principal is convicted for the commission of the crime proper, whereas a secondary participant is convicted for her role in assisting the principal, but legally speaking she is not convicted for having committed the crime herself, since she did not fulfil the elements of the crime. She is not a genocidaire, but an assistant to the genocidaire, and is legally qualified as such. In interpreting the wording of Article 25 of the Rome Statute, the terminology in paragraph (3)(b) seem to be drawn from civil law models (and then translated into English terminology, already risking translation problems!) and those in paragraph (c) are familiar to the common law model. Schabas suggests that since in practice the two paragraphs overlap very considerably, they should not be viewed as two different or distinct bases of liability, but rather as an effort to codify exhaustively. This is why I believe the inclusion of “purpose” for the aider and abettor is justifiable; because he has contributed less, there must be some compensation for this in the form of requiring purposeful facilitation, in order to protect against guilt by association. Similarly, paragraph (3)(d) requires intentional contribution for an assistant to a group with a common purpose. This aligns with what James Stewart states, that the “purpose” requirement goes to contribution, but the mens rea fault element to be determined still depends on the predicate crime. However I disagree with James that this necessarily amounts to a unitary theory of liability, for the reasons argued here. In fact it matches a differentiated theory particularly well. If the ICC continues its interpretation of Article 25 as differentiated, therefore requiring less physical contribution for the morally less blameworthy modes of liability, then it needs compensate this with high standards of volition with respect to the participation. This still leaves room for a dynamic theory for the mens rea with respect to the predicate crime. There must be safeguards against guilt by association for the assistant modes of liability, and the “purpose” requirement under (3)(c) as well as the “intentional” requirement under (3)(d) fulfill this need. A comparative perspective on James’ final question “what does purpose mean” may still mean that there is some flexibility in interpreting the precise meaning of these safeguards. As long as guilt by association or recklessness are excluded, it may be possible to include knowledge, willful blindness or dolus evenutalis, especially since in civil law jurisdictions these all amount to gradations of intent. So as long as there is evidence of wilful participation, regardless of the motive, it would be possible to include business men and women who act for profit, but in full knowledge of the crimes they are facilitating. Nema Milaninia is a Legal Officer, Office of the Prosecutor, International Criminal Tribunal for the former-Yugoslavia. The views expressed herein are those of the authors alone and do not necessarily reflect the views of the International Criminal Tribunal for the former Yugoslavia or the United Nations in general. The terms of Article 25(3)(c) of the Rome Statute diverge from the standard definition of the mental element required for aiding and abetting under customary international law. Article 25(3)(c) requires that an accused act “[f]or the purpose of facilitating the commission” of a crime. In doing so, it provides for a mental element different from, and in addition to, the “knowledge” or “intent” requirements as defined in Article 30 of the Statute. Article 25(3)(c) echoes the approach originally developed by the American Law Institute in its Model Penal Code (“MPC”), which requires that an accomplice act “with the purpose of promoting or facilitating the commission of the offense” [Section 2.06(3)(a)(ii)]. By contrast, customary international law, as reflected in the jurisprudence of the ICTY [Šainović et al AJ, para. 1649], ICTR [Kalimanzira AJ, para. 86], SCSL [Taylor AJ, para. 436] and ECCC [Chea and Samphan TJ, para. 704], requires only that the accused know that his or her acts “assist in the commission of the offense”. Given that the term “purpose” is not defined in the Rome Statute, the International Criminal Court (“ICC” or “Court”), will have to interpret the term in accordance with Article 21 on applicable law, and with general principles of treaty interpretation as set out in the Vienna Convention on the Law of Treaties (“VCLT”). Under Article 31 of the VCLT, the terms of Article 25(3)(c) must be interpreted “in good faith in accordance with [their] ordinary meaning”, “in their context and in the light of [the Rome Statute’s] object and purpose”. That “object and purpose” will, in our view, include the limitations on the Court’s jurisdiction stemming from the principles of gravity and complementarity [Rome Statute, Articles 1, 17(1)(d), 53(2)(c)]. Article 25(3)(c) represents a political compromise resulting from disagreement amongst common law and civil law representatives at the diplomatic conference for the establishment of the ICC, who had difficulty agreeing on the most appropriate means of limiting the scope of application of Article 25(3)(c) in the specific context of the ICC [Taylor AJ, para. 435; Scheffer Amicus Curiae Brief in John Doe v. Nestle, S.A., No. 10-56739, pp. 11-13]. The ICC was never intended to prosecute the full range of individuals who make a culpable contribution to the commission or attempted commission of a crime within the jurisdiction of the Court [Rome Statute, Article 17(1)(d)]. The Court was designed to function in a manner that is complementary to national criminal jurisdictions, which themselves maintain the primary responsibility for trying the vast majority of perpetrators. This is not to say that the approach adopted in Article 25(3)(c) was an appropriate means for limiting the scope of cases which come before the ICC. In fact, an additional “purpose” requirement is problematic for a number of reasons. For example, it might have the effect of protecting individuals from liability where they take advantage of situations of armed conflict for financial gain, knowing that their conduct makes a substantial contribution to the commission of international crimes. Though one may be tempted to look to the MPC in an effort to resolve some of these problems, the Court may only have reference to the MPC itself, its commentaries, or the interpretation of MPC under domestic law, in one of two ways: (i) as a supplementary means of interpretation in accordance with Article 32 of the VCLT, to the extent that they informed the “preparatory work of the [Rome Statute] and the circumstances of its conclusion”; or (ii) as just one source, amongst others, from which the Court might derive a general principle of law under Article 21(1)(c) of the Statute. It may not be necessary, however, to have recourse to the MPC to develop a workable interpretation of “purpose”. There is scope for the Court to interpret the “purpose” requirement broadly, and in a manner that minimises the divergence from customary international law. First, as a matter of evidentiary proof, where there is evidence that an accused had knowledge that his or her conduct would facilitate the commission of a crime, and nevertheless engaged in that conduct, the Court could infer that the accused acted for the purpose of facilitating the commission of that crime. Second, the Court could interpret the terms of Article 25(3)(c) as requiring only that facilitating the commission of a crime be a purpose of the accused’s conduct, but not the sole purpose. For example, evidence of a financial motive would not itself exclude a finding that the accused also acted for the purpose of facilitating the commission of a crime. Regardless of the interpretation ultimately adopted by the Court, Article 25(3)(c) was not intended to reflect State practice and opinio juris and thus codify customary international law. Article 10 of the Rome Statute itself provides that its provisions should not “be interpreted as limiting or prejudicing in any way existing or developing rules of international law” for purposes other than cases directly before the Court. As David Scheffer, head of the U.S. delegation to the Rome Conference, has recently argued before the U.S. Ninth Circuit Court of Appeals, “[w]hile some other articles of the Rome Statute ended up reflecting customary international law, Article 25(3)(c) is not one of them.” [Scheffer Amicus Curiae Brief in John Doe v. Nestle, S.A., No. 10-56739, p. 9]. Yet ironically, in some instances, Article 25(3)(c) has been treated at the domestic level as if it were a reflection of customary international law. This has occurred in two ways: (i) through the direct incorporation of the Rome Statute (including Article 25) into domestic legislation by States implementing their obligations under the Statute; and (ii) where domestic courts improperly rely on Article 25 as a source of customary international law regarding individual criminal responsibility in their own jurisprudence (for example, in U.S. Alien Tort Statute litigation where reliance on Article 25(3)(c) is having a real and immediate impact on the scope of corporate liability for aiding and abetting international crimes) [Aziz v. Alcolac, Inc., 658 F.3d 388, 399–400 (4th Cir. 2011); Presbyterian Church of Sudan v. Talisman Energy, Inc., 582 F.3d 244, 259 (2d Cir. 2009)]. It would be wrong for States to limit their jurisdiction over international crimes in this way. Eschewing the recognised standard under customary international law in favour of the political compromise contained in Article 25(3)(c) would create an “impunity gap” which the Rome Statute’s principle of complementarity was designed to avoid. The very purpose of complementarity is that States maintain primary responsibility for prosecuting international crimes. It does not mean that the jurisdiction of States needs to mirror that of the ICC. The ICC was envisioned as an additional tool in the fight against impunity that would exercise jurisdiction over only those cases of most serious concern to the international community as a whole. States, however, can and should maintain the customary international law standard for aiding and abetting, so as to ensure that all parties who contribute to the commission of international crimes are held accountable. Some authors claim that the purposive motivation requirement balances the low objective threshold. That reasoning is difficult to uphold given that the Lubanga Trial Chamber interpreted Article 25(3)(c) as requiring substantial effect (even though it did so in an obiter dictum). Other commentators appear to view Article 25(3)(c) in the light of domestic doctrines restricting the scope of aiding and abetting by means of an elevated mens rea requirement. Lastly, a variety of scholars derive a dolus directus in the 1st degree threshold from their reading of Article 2.06 MPC, on which Article 25(3)(c), they claim, was based on. To interpret Article 25(3)(c) as requiring a volitional commitment to the criminal outcome has drawn a fair share of criticism on policy grounds. Some commentators correctly point out that a dolus directus in the 1st degree threshold renders the Statute’s provision on aiding and abetting virtually futile; in the case of material support it would hardly be possible to prove that the aider and abettor acted for more than just financial profit. Also, it is argued, to privilege cold-blooded profit maximising vis-à-vis ardent facilitation is not only mistaken from a criminological point of view but also contrary to the object and purpose of the Rome Statute. These criticisms mirror the identical discussion on the suitable mens rea standard for aiding and abetting in domestic criminal law. To give way to these policy considerations may indeed be in accordance with the object and purpose of the Rome Statute. The trouble is, though, that Article 31(1) of the Vienna Convention on the Law of Treaties commands to give precedence to the ordinary meaning of the wording. Purpose may not necessarily be tantamount to a volitional commitment to the result of the crime but it certainly appears semantically closer to that position than to a mere knowledge standard. Dubber claims that the aider and abettor’s commitment to the criminal outcome can be derived from his certain knowledge about the facilitating effect his assistance has on the crime. This reasoning not only follows a similar logic applied in domestic criminal law but also the logic applied in Kvočka to explain the way in which a knowing facilitator turns into a participant in a JCE sharing the intent of his or her co-perpetrator. Due to the fine line between knowledge and shared intent the trouble with this logic is to determine at which point in time the facilitator’s knowledge crosses the threshold. Taking this observation a step further, Farrell asserts that it is unsettled whether “the purposive element requires the aider and abettor to act with the sole purpose for contributing to the commission of a crime“. Cassel and Vest therefore contend that the aider and abettor aims at facilitating the crime, except that this is not his or her primary but “secondary purpose”, that is, a “prerequisite necessarily linked” to his or her primary purpose – the latter being, for instance, financial gain. This line of argument mimics the fiction – meticulously examined by Stuckenberg – that certain knowledge about an undesired but anticipated side-effect is tantamount to a volitional commitment to that side-effect (think of the well known textbook example of the assassin who shoots down an airliner with the aim to kill a specific person sitting in the cramped passenger rows). Applying this fiction to aiding and abetting, Vest points out that it makes limited sense “that someone who knows that a specific result is an inevitable consequence of his conduct should be treated in a different manner than someone who consciously desires this result”. In other words, the intent to contribute to a crime must be separated from the underlying motives and desires. British criminal law reflects this when purporting that an act of assistance is intended both “if it is chosen as an end in itself, or as a means to an end.” Thus, the aider and abettor who is aware or foresees that the realization of the success of the crime is a necessary or foreseeable consequence of his act of assistance acts with the purpose of facilitating the crime. After all, as a comparison of the wording of Article 25(3)(d)(i) and Article 25(3)(c) shows, the Rome Statute itself seems to make a difference between contributing “with the aim of furthering” a crime and assisting “for the purpose of facilitating” it. First, the fact that Article 25(3)(c) reflects the MPC’s provision on aiding and abetting does not imply that it was the intention of the drafters of the Rome Statute to follow the MPC’s interpretation on purposive facilitation. Second, as James Stewart rightly points out, is questionable whether the MPC’s provision on aiding and abetting requires the facilitator to desire the criminal outcome. In some US jurisdictions the purpose requirement appears to have been interpreted in a way that the accessory must possess the full mens rea required of the perpetrator. However, Mueller, Weisberg and Weiss have adduced authorities showing that in other jurisdictions purpose is fulfilled by proof of mere knowledge, triggering the question as to the circumstances under which knowledge is not tantamount to purpose. Third, it is questionable why the MPC’s tests should apply within the completely different framework that governs the ICC. Commentators have shown that in some MPC jurisdictions a looser view that in reality made certain knowledge sufficient has been put forth with respect to serious crimes, whereas a higher mens rea standard has primarily been reserved for less serious ones. Furthermore, to require purpose for aiding and abetting appears to have been a means to justify or excuse the aider and abettor due to mistake of fact or to redress over-inclusion. Also, scholars have pointed out that the case for a dolus directus in the 1st degree standard was strong in jurisdictions granting no punishment discount to accessories and even stronger in jurisdictions barring the jury to lower the sentence for minor involvement in a crime. The Rome Statute, unlike the MPC, addresses these issues. That makes a volitional commitment requirement for aiding and abetting redundant and inappropriate. Sasha Greenawalt, Professor of Law, Pace Law School. He is the author of the excellent new article International Criminal Law for Retributivists. I am grateful to Adil for his insightful comments. Adil was quite generous to serve as a discussant when I presented an early draft of my article at the 2013 Law and Society Association Annual Meeting and so am I especially thankful that he has taken the time to participate in yet another exchange. Adil agrees that retributivism is an incomplete theory of punishment and that non-retributive considerations can outweigh retributive reasons to punish. Adil’s takes issue, however, with the particular role and weight that I assign to retributive considerations. In so doing, Adil raises several important points, some of which involve nuances that my article does not expressly address. Nevertheless, I believe that his points are consistent with my argument, and that my analysis can, or already does, incorporate them. At the outset, it’s important to emphasize an important difference in focus between Adil’s comments and my article. Unlike Adil, I am not interested in defending the best view of retributivism. Instead, I am primarily focused on exploring how different understandings of retributivism could approach international criminal law. In particular, what I describe as a “good reason retributivism,” is my attempt to identify how retributivism can operate in the real world as a plausible, affirmative rationale for punishment. As I explain in my response to Mark Drumbl, the label reflects my attempt to distill something that is already present in retributive theory rather than to propose a novel approach to punishment. In other words, retributivists might disagree about whether there is a moral obligation to punish the deserving, or about whether deserved punishment is a good, while nevertheless agreeing that, practically speaking, retributive reasons operate along the lines that I have described. Adil’s principal critique is that “I view moral responsibility for past wrongdoing [as] merely one good reason to punish among others, a reason that competes on equal terms with good reasons not to punish.” On Adil’s account, by contrast, desert is the only reason to punish. Utilitarian considerations favoring punishment play a more limited role: they can defeat utilitarian considerations disfavoring punishment (thereby defeating the defeaters), but they cannot provide an affirmative reason to punish. How then does Adil’s account differ from my own? Perhaps the difference lies in the fact that I, unlike Adil, do not specify that utilitarian considerations favoring punishment can only act as “defeaters of defeaters,” rather than as affirmative reasons to punish. I’m not sure how much this distinction matters, however. If desert provides a necessary, prima facie reason to punish, then what role could these other considerations play except to help defeat arguments opposing punishment? If there is a conceptual difference, I’m not sure it has any practical impact. Another question concerns the relative weight of retributive reasons. Adil contrasts his “strong retributivism” with my “weak retributivism.” My own view is there is room for disagreement regarding how much weight retributive arguments should carry in the face of countervailing non-retributive reasons. I’m not sure how Adil’s framework provides any greater clarity on this point. Take, for example, Douglas Husak’s observation that the value of punishing the deserving is arguably, from the start, outweighed by the “inevitab[ility] that the practice of punishment will suffer from (at least) each of the following three deficiencies: It will be tremendously expensive, subject to grave error, and susceptible to enormous abuse.” This argument would seem to be entirely compatible with Adil’s approach: In Adil’s terms, it could well be that retributive reasons are never enough to overcome these three defeaters, and that the practice of punishment will always require additional non-retributive defeaters of defeaters to support the retributive reason to punish. My idea that desert might merely play a tie-breaking role in justifying punishment was inspired by Husak’s example. My point is that even if one thinks that retributive arguments are, by themselves, readily defeated by the negative consequences of punishment, they can play still a powerful role in situations where the balance of non-retributive considerations both favoring and disfavoring punishment yields no clear answer. It strikes me that international criminal law often involves uncertainties of this nature. Of course, Adil is correct that if the retributive reasons to punish are too weak, then they cannot play even this tie-breaking role. Otherwise, I very much appreciate Adil’s reflections on both consequential retributivism and the distributive component of retributive justice. These will require further reflection, but I do find them compelling. I am grateful to Mark Drumbl for taking the time to provide his generous and insightful comments on my article, and also to James Stewart, both for his kind words and for organizing this discussion. I’m quite honored that James has selected my article to inaugurate this important and exciting new blog. For the most part, I am happy to plead guilty as charged. 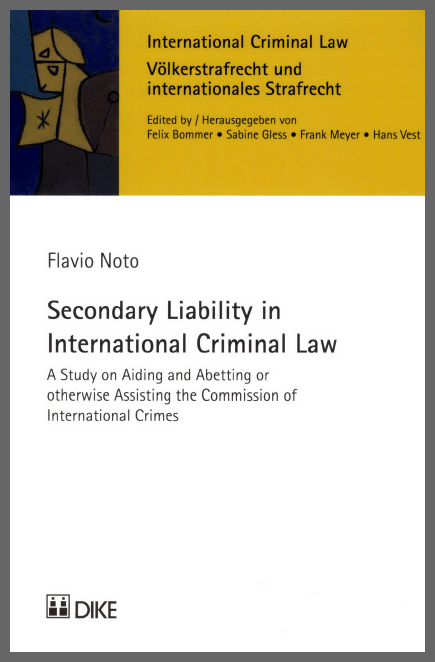 After all, the idea that retributive commitments are compatible with a wide range of policy positions about international criminal law is one of the main points of my article. In defense of this view, I will say the following. First, I believe that I am speaking the truth about retributivism. Accordingly, it is not my fault if the theory turns out to be less muscular than one might hope. Second, I don’t think it’s quite as bad as all that. There are many things that retributivism cannot do, but some quite important things that it can do. The central point (which I am hardly the first to make) is that retributivism, by its nature, is an incomplete theory of punishment. In contrast to utilitarian approaches that appeal to a single overarching vision of human well-being, the retributive claim that punishment is justified intrinsically by the desert of the offender simply cannot provide a comprehensive metric around which to establish, order, and administer a system of criminal justice. The point is just as true at the domestic level as it is at the international level. The most obvious example is resource allocation: a commitment to deserved punishment cannot, by itself, tell a legislature how to distribute funds between health care and the criminal justice system. Nor can it tell the international community whether, and to what extent, to fund the establishment of an international criminal tribunal. Instead, I believe that retributivism does two things. First, by specifying that justified punishment must be deserved, it imposes an important negative constraint: a prohibition against knowingly punishing the innocent. This negative constraint is not especially controversial, but even here retributive theory raises an important and problematic question: how do we know that the guilty actually deserve punishment? Mark suggests that the retributive appeal to just deserts is at root an emotional response, and I think he may be right. Does this reliance on bare, moral intuitions—ones that may well be “ignorant, biblical, and simple,”—expose a deep vulnerability in retributive theory? Quite possibly, but if I may attempt to paraphrase Douglas Husak, the alternative is even more problematic: How can we ever justify the cruelty of criminal punishment if we do not at some root level believe it is deserved? Perhaps, the very existence of criminal justice is inevitably grounded on these innate retributive emotions, whether we acknowledge them or not. The second thing that retributivism does is to supply an affirmative reason to punish the guilty, one that appeals to the culpability of the wrongdoer alone rather than to the expected social benefits of punishment. But because retributivism is an incomplete theory of punishment, the retributive impulse must coexist with other rationales either favoring or disfavoring punishment. As a consequence, the retributive impulse to punish a particular offender will sometimes be trumped or compromised. Possible reasons include, among others, a legislative desire to fund priorities other than criminal justice; a prosecutorial judgment that limited resources are better focused on other, more culpable offenders; the ability to obtain the accused’s cooperation in the prosecution of other, more culpable offenders; an unacceptable risk of wrongful conviction in light of evidentiary shortcomings; a disinclination to reward prosecutorial misconduct that has comprised the accused’s due process rights; or, as sometimes happens in the wake of mass atrocities, a desire to support an amnesty agreement or alternative justice mechanism that may itself be justified by a variety of imperatives including the need to conserve limited resources, to end bloodshed, and to promote social reconciliation. This second function of retributivism—as a good, but incomplete reason to punish—is what I describe as “good reason retributivism.” Although the label is my own, it reflects my attempt to distill something that is already present in retributive theory rather than to propose a novel approach to punishment. And I will venture to suggest that something of this approach appears in Mark’s own post when he maintains that he “remain[s] unconvinced that retribution can overcome the curse of selectivity in international criminal law.” In other words (and acknowledging apologetically that I may be doing horrible violence to Mark’s actual views), even if there are powerful retributive reasons to prosecute someone before an international criminal tribunal, Mark maintains that those reasons are inadequate to overcome the more powerful, overriding interest in avoiding a system of highly selective, unequal justice. (And as Mark sets forth in a terrific book, alternative mechanisms may provide a better way to reconcile these two interests). As far as I am aware, Mark does not propose a metric for determining how much selectivity is too much selectivity. By contrast, I might argue on retributive grounds that Sudanese President Omar al-Bashir’s alleged role in Darfur atrocities involves culpability of such great severity that it is worth demanding his prosecution before the International Criminal Court (“ICC”) notwithstanding the highly selective focus of that institution. Both Mark and I may be confident in our judgments, but I doubt we can prove each other wrong. Yet these are precisely the kinds of moral judgments that people can and do routinely make based on an indeterminate but non-arbitrary balancing of competing considerations. And I don’t think that the existence of such indeterminacy is tantamount to an “endless buffet line” (however appetizing that analogy may be!). There is much that I am glossing over, including the differences between various understandings of retributivism, the nuances of the international criminal justice system, and important differences among different types of institutional questions (legislative, prosecutorial, judicial etc.). I must, however, register my disagreement with Mark’s claim that “[e]ye for an eye is central to [retributivism’s] DNA.” As far as I am aware, lex talionis has no modern defenders among retributivist scholars, although Jeremy Waldron has brilliantly argued that the idea “is (fortunately) not as silly as it sounds.” The concept of proportionate sentencing is more widely embraced, but, for reasons I explore in the article, I fear it may fail to provide the degree of practical guidance that Mark desires. Otherwise, I, for one, am not convinced that Mark and I are divided by any deep disagreement. Perhaps he will prove me wrong, but until then . . . Vive La Rétributivisme Timide! Mark A. Drumbl, Class of 1975 Alumni Professor of Law & Director, Transnational Law Institute, Washington & Lee School of Law. Sasha Greenawalt rehabilitates retribution as a justification for punishing people who violate international criminal law. I say “rehabilitate” because Sasha begins with the observation that an “anti-retributivist strain” has seeped into conversations about how to deal with perpetrators of genocide, crimes against humanity, and systematic war crimes. Sasha wants to stanch this strain by cleansing retribution of its undeserved stain. Sasha hopes to make retributivism relevant in a context where conversations about the normative basis of punishment for extraordinary crimes are vividly diversifying. Penological rationales such as expressivism, positive general prevention, and restoration have entered the discursive frame. The international tribunals tout their deterrent potential, as well as other utilitarian goals (which border on the utopian) such as reconciliation, peace, and ending impunity. Retribution has its skeptics. I am one of them. Sasha’s excellent work has pushed me to think twice, think differently, and think better, about things. Fundamentally, however, I remain unconvinced that retribution can overcome the curse of selectivity in international criminal law; I am unsure how it squares with the extraordinary nature of jus cogens violations and the cauldron of collective violence; I am unsettled by analogizing too closely from the regulation of ordinary crime at national levels. But all this is beside the point. These debates will not be resolved here. They may not be resolvable. People have been quarrelling about the purposes of punishment and the role of mercy since time immemorial. These quibbles pop up in all places, whether intellectual, vulgar, aesthetic, popular, or political. I am more interested here in the dialectics. How does retributive theory, which Sasha enlivens, approach and contribute to the conversation about the normative basis of international punishment? How does it seek to call the question, presumably in its favor? What arguments does it marshal? Sasha responds to “anti-retributivism” by demonstrating that retributive theory is heterogeneous and supple. He rightly resists those who essentialize retribution as primitive or instinctual or crude. He chafes at the bad rap retribution gets in certain quarters. For Sasha, there’s a lot more to retribution than harshness. He shows how retributive theory is nimble, flexible, erudite, and sophisticated. It is so versatile, in fact, that it can accommodate many of the concerns central to utilitarian, and other, justifications for punishment. Here, Sasha takes the reader on a journey through an alphabet soup of adjectives. We learn of consequential retributivism, minimalist retributivism, political retributivism, threshold retributivism, maximal retributivism, and contractarian retributivism. Sasha delivers good reason retributivism. We learn that retributive theory is so capacious that it can justify general amnesties. It can even justify complete impunity! It is invigorating to peel back the layers, and embrace the hybridized possibilities, of retributive theory. I’ve toyed with this myself in terms of agentic retributivism. By this I mean measuring the culpability of an accused not by the harm caused or malevolence exercised in absolute terms but, rather, by how much harm the perpetrator caused or how much malevolence the perpetrator exercised in light of the social spaces that he or she occupied at the time of the commission of the offense. Interest in this question stems from my concern about how international criminal law should approach compromised perpetrators: rank-and-file soldiers, low-level militia members, militarized youth, and persons who may not have killed directly but told the killers where the oppressed were hiding. But retributive theory cannot simply become all things to all persons. At some point, all these clever variants of retribution become more about the prefix adjective than the noun. Consequentialist retribution in particular strikes me as a poignant example. The end-game of these concatenations is that retribution risks becoming gutted, or so abstracted, that its raw value as normative justification evaporates. What is gained by becoming an endless buffet line? An account for all seasons? Also hobbled is the ability of retribution to serve as a practical principle to apply in establishing the quantum of sentence for an individual defendant. This latter point is very important. We should welcome conversations about the normative basis of a punishing institution. But once that institution exists, and it begins to punish individuals, a need arises for principled, clear, and consistent sentencing. Accessibility matters. When retributive theory has so many competing compounds, what is a judge to do and what is a convict to expect? If retributive theory becomes an empath that absorbs and accommodates everyone’s wishes and needs – even those that contradict its central ethos – then retributivists allow themselves to be defined by others. General debates about the justification for punishment simply morph into feuds within retributive theory about the justification for punishment. Over-intellectualizing retribution reminds me of the fate of modes of liability at the international tribunals. James Stewart and Leila Sadat have chided the staggering confusion. 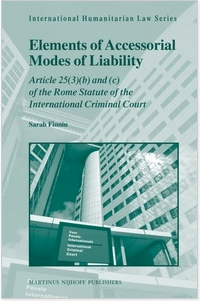 Modes of liability – rendered both fulsome and bare by relentlessly inordinate determinations – remain clumsy and incoherent, thereby baffling the laity and frustrating survivors in post-conflict transitions. Call me ignorant, biblical, and simple. Or homely. But for me, retribution is about the emotions. It is about just deserts and resetting the moral balance following an act that tears the communal fabric. Retributivism is about voicing outrage; determining the culpability of the perpetrator and responding in kind. Eye for an eye is central to its DNA. Retributivism means anger, pain, and rectification channeled through a dignified legal process. It’s about expiation. It’s visceral. Why run from this? Staying the hand of vengeance does not require becoming the Tin Man. When rules become defined by their exceptions, when principles become overrun by a cacophony of qualifiers, then the core fades. Retributivists might be better off sticking with their core. If their cri de coeur doesn’t fit with the explosive paradoxes and dizzying quandaries of international crimes, then tant pis – so be it. I’m thrilled to host Sasha Greenawalt’s excellent new article International Criminal Law for Retributivists as the inaugural point of discussion for this blog. In the early years of international criminal justice, Mark Drumbl and Rob Sloane argued, very eloquently, that retribution was not a viable basis for punishment in international criminal law. Sasha takes issue with their approach, drawing heavily on a rich literature in the theory of criminal law. His article is brilliantly written, profound in scope, and has important real world implications. At the same time, it will certainly not convince everyone. For that reason, I have cajoled Mark Drumbl, Adil Haque, Rob Sloane and Meg deGuzman to write blogs criticizing Greenawalt’s great piece. Of course, I’ll also invite Greenawalt to reply. In terms of timing, I’ll post Drumbl and Haque’s responses in the coming days, then ask Greenawalt to respond to them later this week. Rob Sloane and Meg deGuzman have agreed to reopen the debate in late December this year, so the discussion will take place in two split tranches. We’ll then give Greenawalt the final word. So, welcome to all my friends and colleagues! It’s a real privilege to have you launching what I hope will become a central platform for these sorts of scholarly debates.